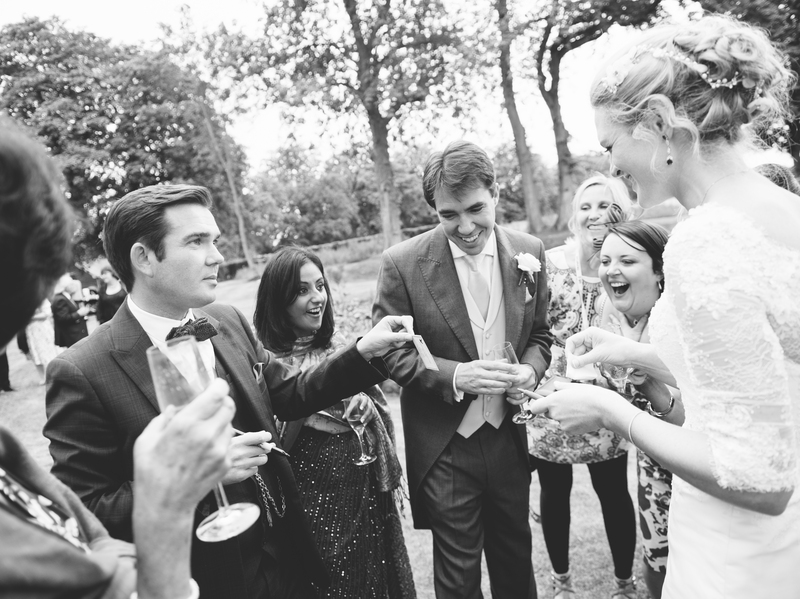 Looking to Hire a Magician in Buckinghamshire? 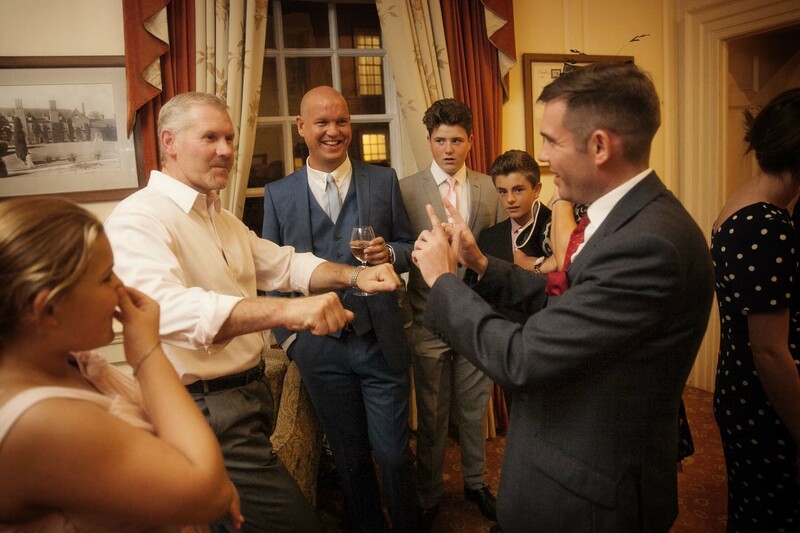 MAGICIAN BUCKINGHAMSHIRE – As a Buckinghamshire magician Edward performs at a wide variety of event including weddings, corporate events, private parties, christmas parties, dinners banquets, and balls. 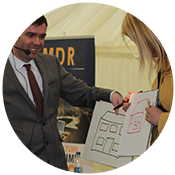 Edward has a number of performances for every event including close up magic and table magic. A full stage show for large events, and for smaller events that require the theatrics of a stage show he has his dinner show. 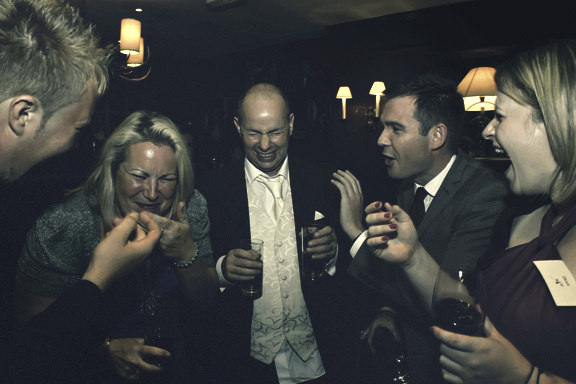 What makes Edward so popular and has allowed him to be one of the few professional magicians in Buckinghamshire and the UK is his unique and grown up style of magic. 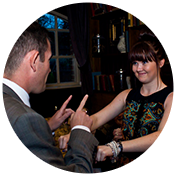 Edward performs a style of magic known as mentalism or psychological illusion. Best described as magic of the mind. In a typical performance Edward will read minds, maybe he will ask you to draw a picture or think of an old friends you haven’t seen for years, Edward will tell you exactly what you’re thinking. 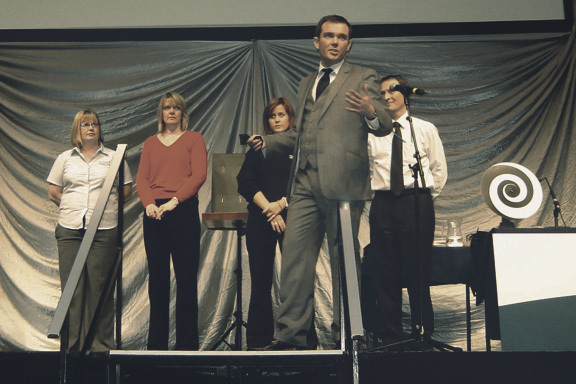 For stage shows he has been known to send a client an envelope through the post weeks prior to the event, during the show the client will be invited onto the stage and asked to open the envelope. They will remove a piece of paper and discover Edward has predicted the headlines of that days newspaper weeks in advance. A favourite routine for Edward is Telekinesis, moving objects with the mind. Not only will he bend coins in your hand but he will even teach you how to do it! 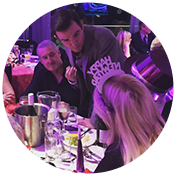 All this and much more can be witnessed in Buckinghamshire magician Edward Crawfords close up, stage show and dinner show. 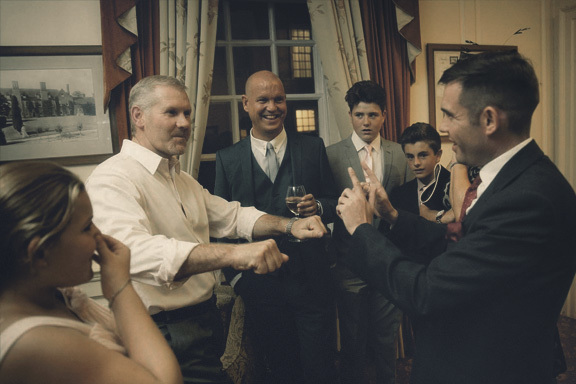 If you wish to hire a Buckinghamshire magician Edward will tailor his act to suit your event, so, you can be assured the perfect entertainment for the perfect day. If you would like to book him for your event in Buckinghamshire simply fill in the enquiry form below. 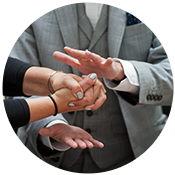 Whether you require a Buckinghamshire Magician for close up performance at a dinner or drinks reception, or a cabaret /stage show, Edward will tailor his act to suit your event. Thank you for your performance on Saturday. We could not have had more positive comments about you. You truly were amazing and a great touch to our special day. If asked what my favourite style of performance is my answer would be either my parlour shows or intimate close up events. Both of these give me the chance to really get to know people and once I really understand a group I can try out some of my strongest material. 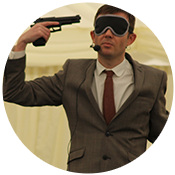 Last week I was booked to perform as a close up magician in Aylesbury Buckinghamshire. 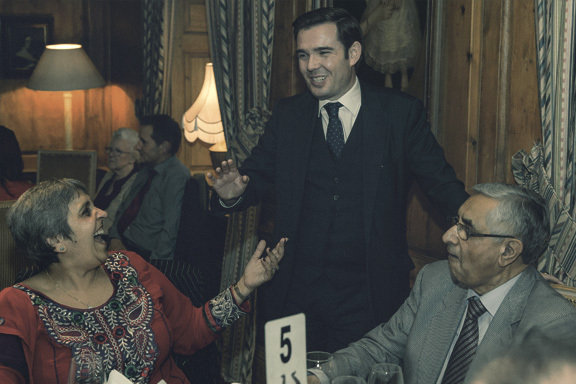 The event was a 30th birthday party and the guests were made up of about 50 close friends and family. I was booked to perform for 2 hours between 8 and 10pm. Throughout the evening I mixed with small groups of people. Taking the opportunity to start off slowly with a few warm ups to get an idea how people think before moving on to some of my strongest mind reading routines. By the end of the night I was telling people the names of their first kiss, duplicating drawings they had made whilst in another room and bending keys and coins in the hands of the guests. I ended the evening with a special routine for the birthday boy and his fiancee who had booked me. This is a routine that involved the empathy between two people and is very hard to explain. Lets just say it led to a round of spontaneous applause from all those who watched and speechless astonishment from those who partook. If you ever see me perform ask to see my empathy routine. It’s only something I can do on special occasions but if possible I will perform it for you. A massive thank you to Kiera for the booking and for all her friends and family for a fantastic night. I was very pleased to be asked at the end of the evening if I would perform at their wedding so I look forward to seeing you all again. 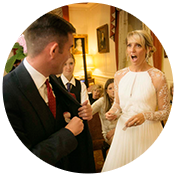 If you wish to hire a magician in Buckinghamshire contact Edward on 07814 135569 or info@www.edwardcrawford.co.uk for more details.